Mr. Henritze is responsible for the formulation and implementation of investment strategy, review of prospective investments, monitoring of real estate markets conditions and due diligence, and oversight of leasing activities related to all investments. 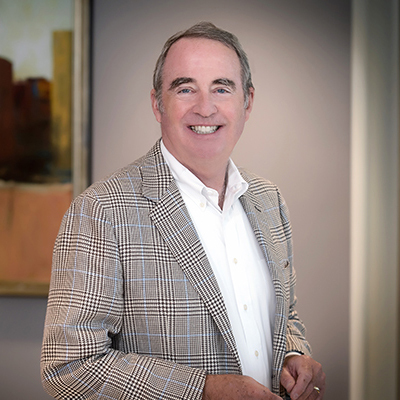 Prior to founding Brookdale in 1994, Mr. Henritze spent 10 years with Houston-based real estate company Hines, where he was Vice President of Marketing/Leasing for the Hines Southeast Region. While at Hines, Mr. Henritze developed leasing and marketing plans for individual projects and portfolios, supervised marketing and leasing professionals, and negotiated major tenant leases. Mr. Henritze holds a BBA degree from The College of William and Mary. Mr. Henritze was a Trustee of The College of William and Mary. Additionally, he was a Board Member of The William and Mary Foundation where he served on the Foundation’s Investment Committee.